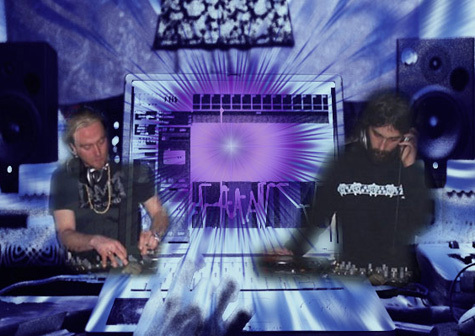 (aka DJ Manifest) from Oregon USA, came together on the psychedelic dance floors of North West Nature. While from opposite sides of the planet, they shared a common vision: psychedelic music. Jeffrey had been into psychedelic rock for years before arriving in Goa during his highschool escapade in South India. As a child, he had been repeatedly bitten on the head by terrifying dragons in ancient Japanese rituals. The music he found in Goa delivered a bite he hadn’t felt in years. Jamie, who had studied audio/midi electronic music production, found his musical purpose on the dancefloors of Goa style parties which had migrated to his corner of the planet. Over the next decade, he became a pioneer figure in the NW trance scene, DJing across the West Coast and being a focal point for party organizing. Now the two have teamed up as the audio production unit, Freaks of Nature, further exploring the boundaries of mind bending music and causing dancers world-wide to Freak IN Nature.